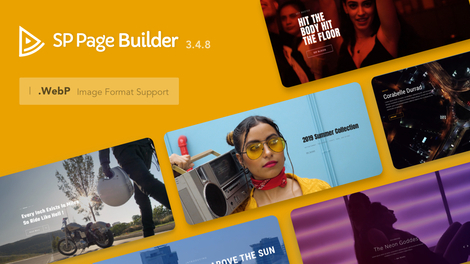 SP Page Builder 3.4.8 Pro - a new version of one of the leading Joomla 3 extensions designed to create pages by dragging and dropping elements in the visual interface. 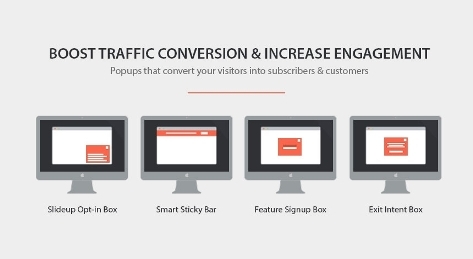 This is the most popular Landing Page Builder for joomla 3 cms. The new version integrates new useful features. Major changes: the presence of 10 built-in demo sliders, added the ability to place a video background in the slider, pause when hovering, the ability to overlay the background in the slides, the addon of the contact form and the Form Builder are fixed. 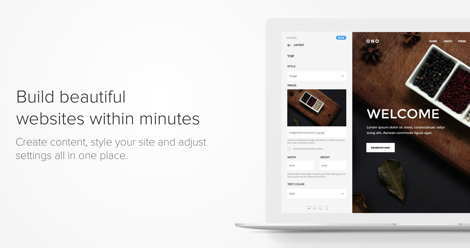 YooTheme Pro v1.19.2 - a new version of the popular visual page builder from the studio YooTheme. Now you can quickly create beautiful layouts and pages without editing the code. Using the popular Drag & Drop interface, edit any page elements with the ability to preview. You can easily create adaptive structures, add any content on the fly. The designer already has more than 30 elements for website development, 130 styled styles, the ability to create your own styles, 16 headline layouts, blog layouts and hundreds of other functions. The new version of the most popular and universal extension Smart Slider 3 PRO v3.3.18 . Now you can easily create any dynamic carousel, sliders and blocks without requiring complex coding. You can create sliders from a blank canvas or use ready-made demo examples. Features of the component. This extension and Joomla 3 modules can be used for any projects and templates, support for adaptive design, a powerful system of animation layers, support for 5 types of sliders, adding elements from external sources, image optimization, displaying controls (arrows, markers, thumbnails), lightboxes, text animation and event management. 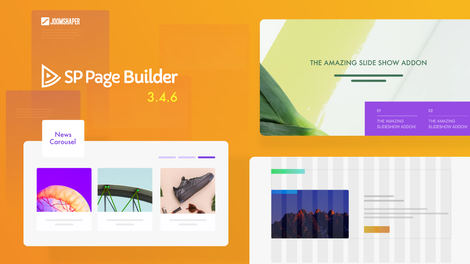 New updated version of the most popular page builder SP Page Builder Pro v3.4.7. This Joomla extension allows for the fastest way of web development in visual mode. All settings and changes can be monitored in real time. You can use more than 90 ready-made section designs. You can also create partition libraries. New version of the page designer for Joomla has added a new add-on Image Layouts. This addon has 6 pre-installed prototypes and saves you time when working with image and text buttons. 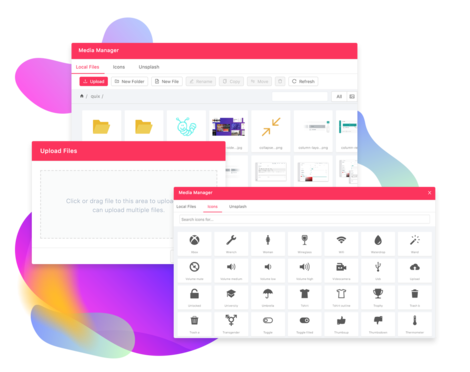 Quix Pagebuilder Pro v2.4.4 - new updating of one of the best and the most popular the designer of pages for the websites of the using Joomla! 3.x. This designer of joomla of the websites as well as other popular extensions has the convenient visual drag & drop interface and will allow to implement qualitative adaptive pages easily. In the new version the work speed, existence of fast search, compatibility with any templates and models is still improved, it is seized a copying/insert, the main kernel and presence of the fitter of a component with a possibility of rollback to the old version is improved.